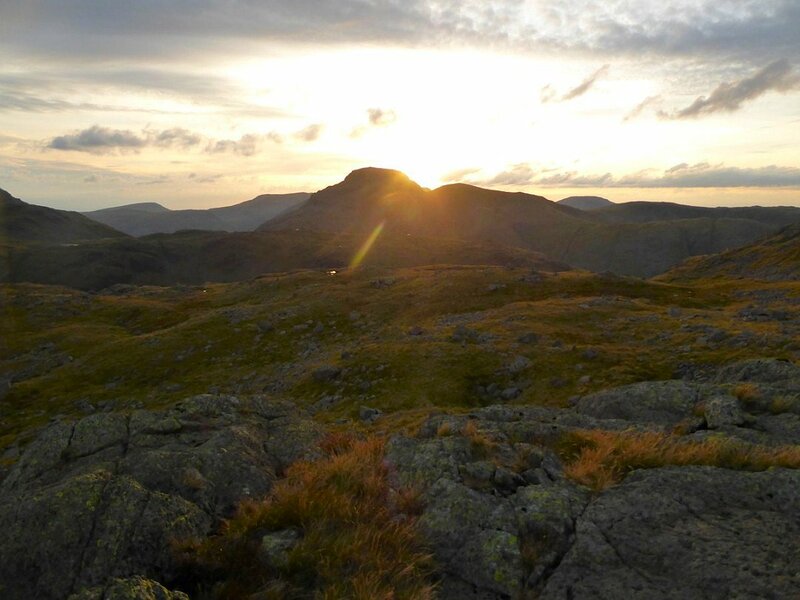 A ride up to Borrowdale this week for myself, Emily,Tom and nephew Jake for a night on the fells. I did have a pass out for a longer stay but the weather was forecast to be pretty grim on Monday so we just had the one night out. 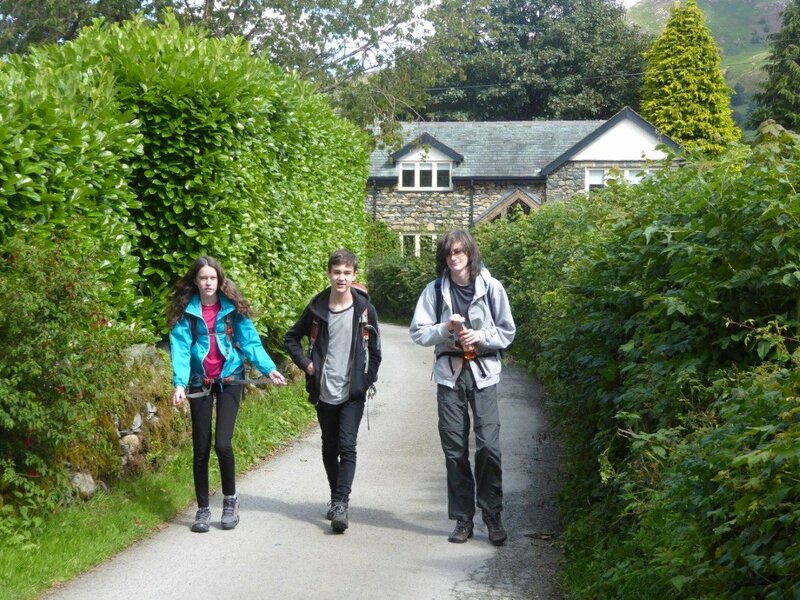 Lovely weather on Sunday as we head out of Rosthwaite. 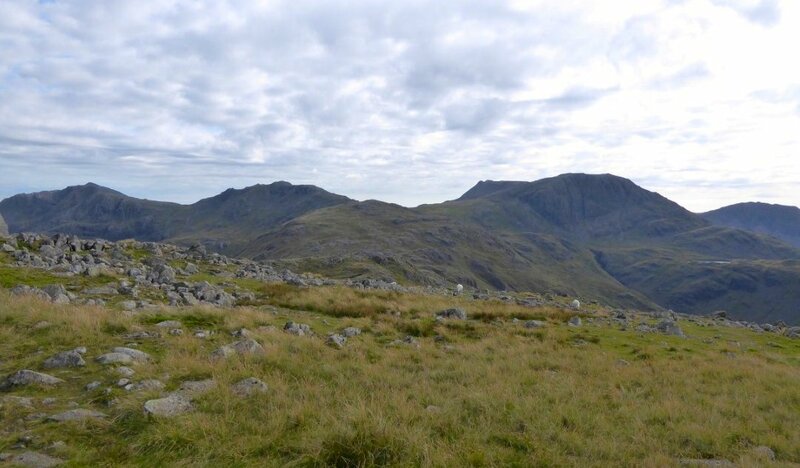 Greenup Edge and Eagle Crag ahead.. 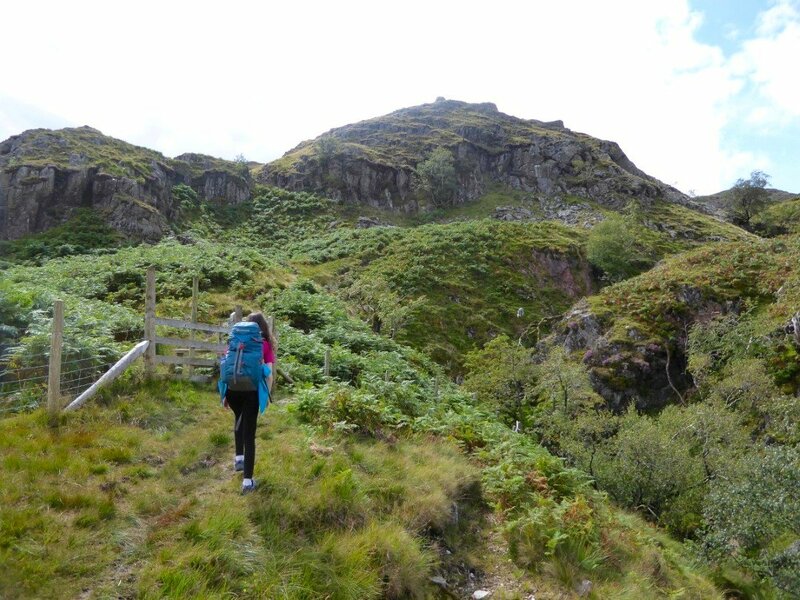 The Big Stanger gill path is a lovely way to get to the high fell but it is a steep pull and I realised that every time I've come this way it's been boiling hot. 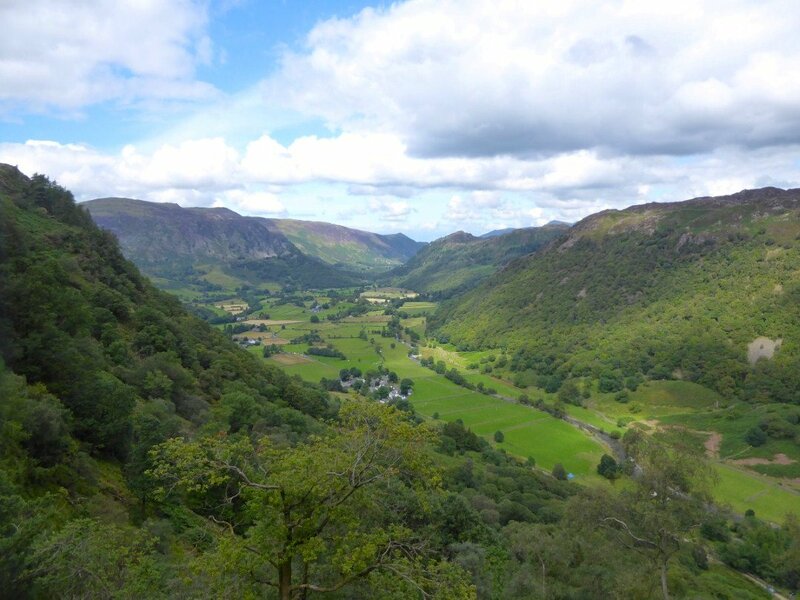 The view of Borrowdale is a good reward for your hard work. 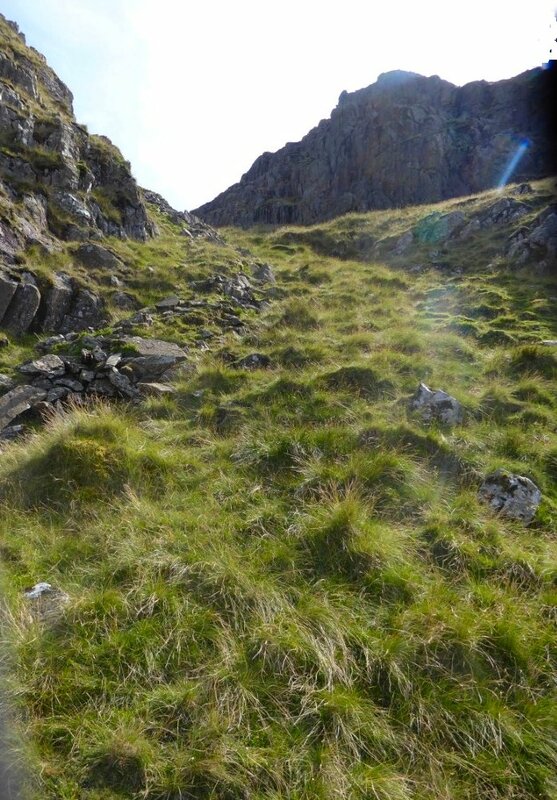 The path levels out eventually as you reach this little open area. 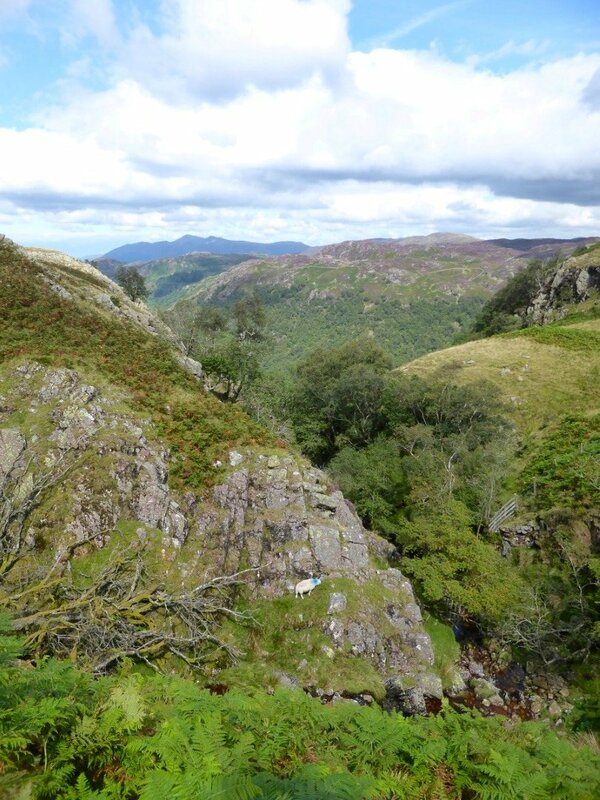 Big Stanger Gill takes a turn to the right and the path follows. 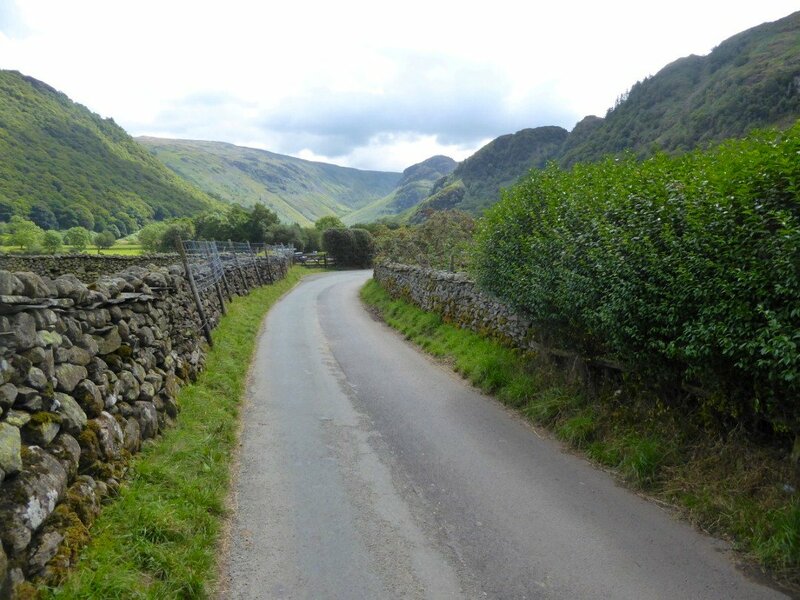 Looking back to the steep sided gully of Big Stanger Gill. 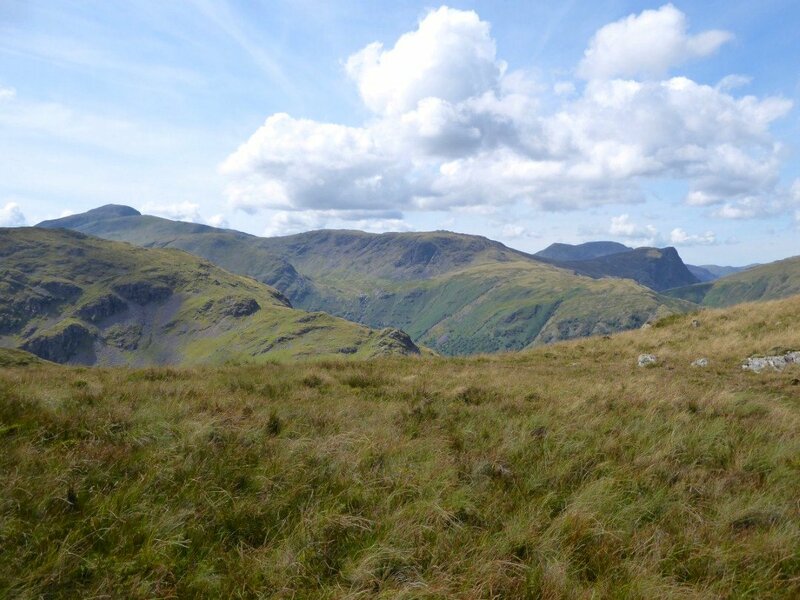 Skiddaw in the far distance. 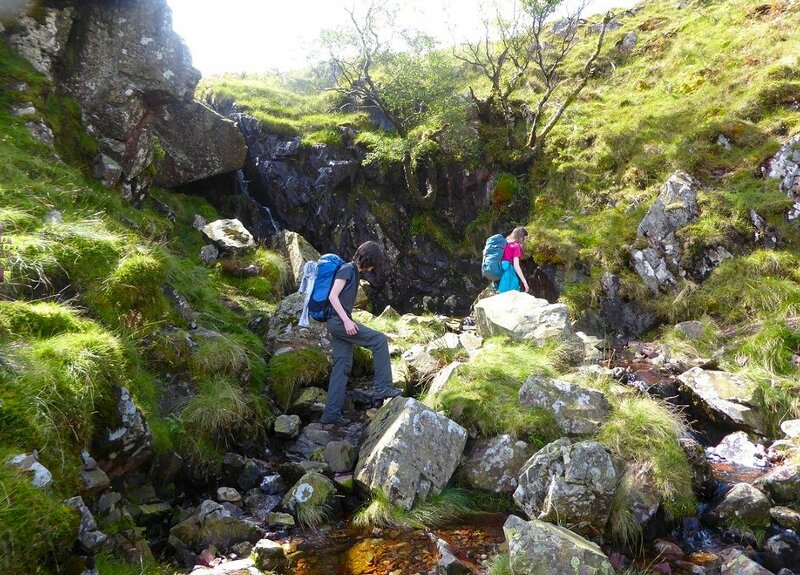 Crossing the gill at the waterfall. 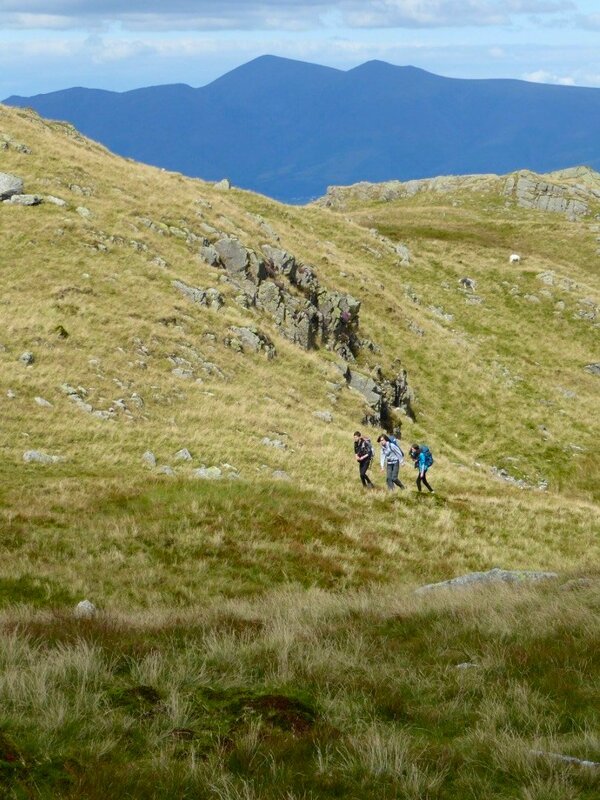 Walking across the open fell between High Knott and Bessyboot. Skiddaw again in the distance. 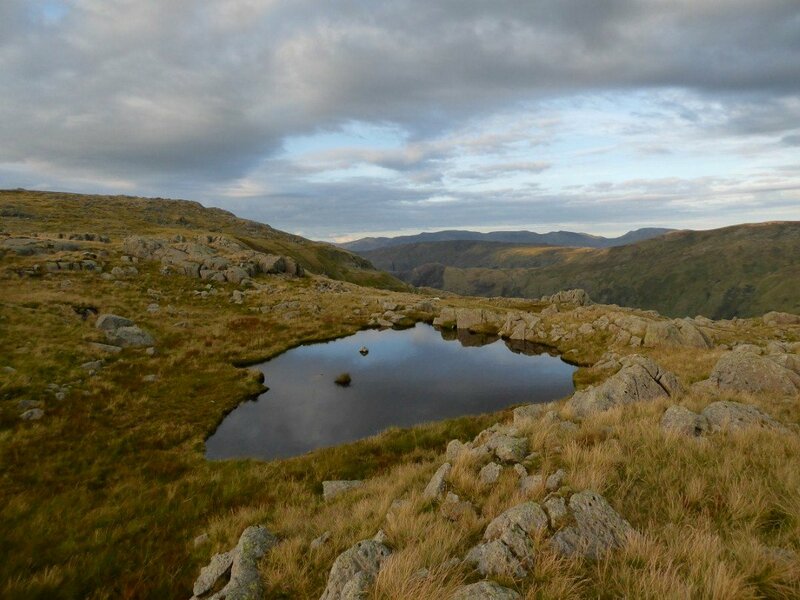 A couple of walkers conquer Rosthwaite Cam. 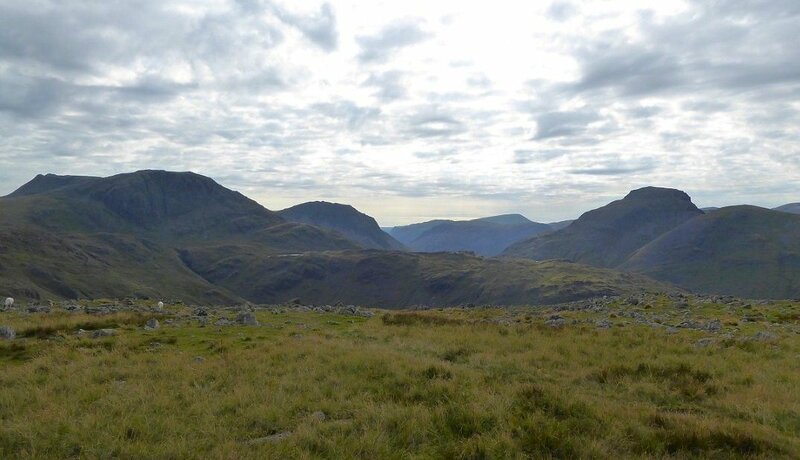 Looking over Thornythwaite Fell and Base Brown to Great Gable in the distance on the left then Green Gable, Brandreth and Grey Knotts The High Stile ridge is behind the distinctive outline of Honister Crag. 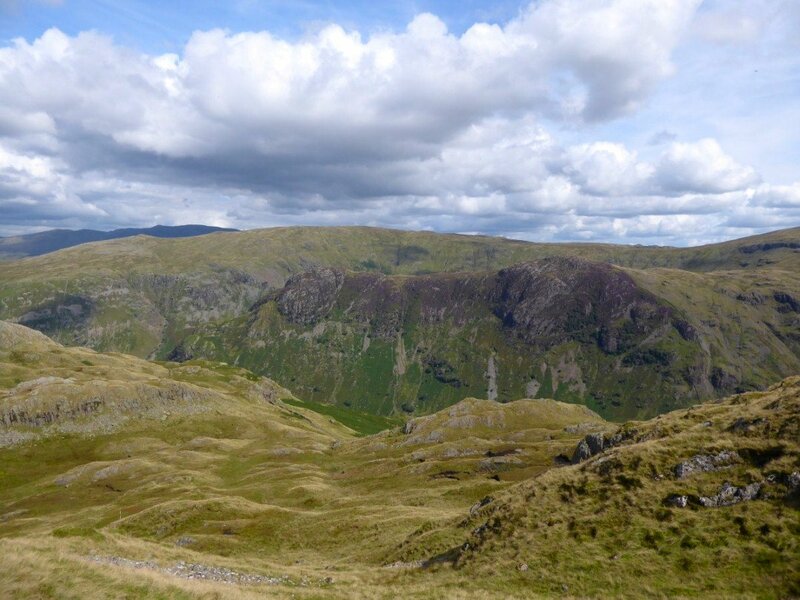 View over to Eagle Crag with Ullscarf behind. 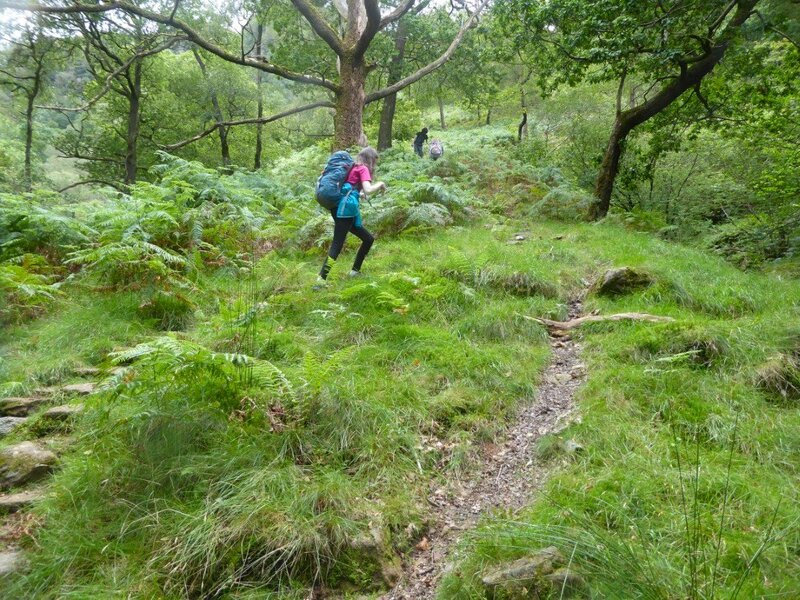 On the short but steep climb of Combe Door. I had the pleasure of doing this twice as Thomas's jacket fell of the back of his ricksac and went back down to recover it. 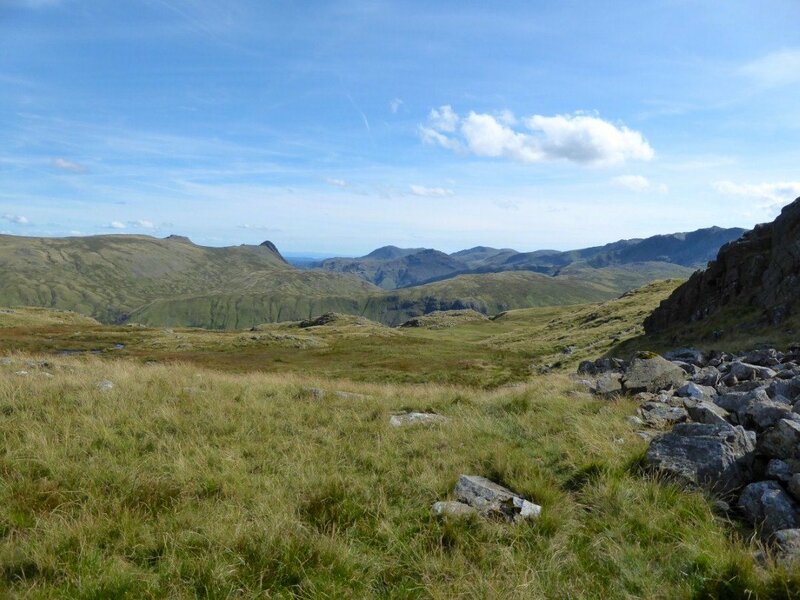 Langdale Pikes and Coniston fells from the top of Combe Door. 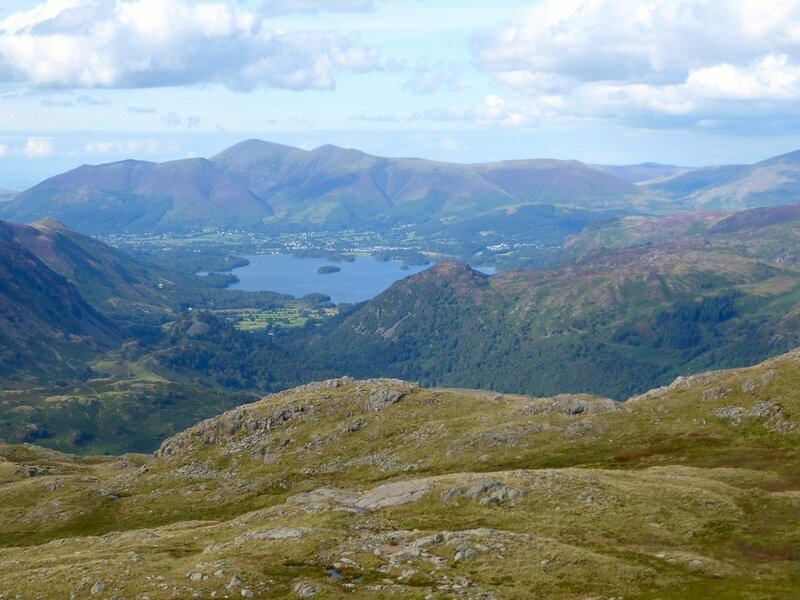 The view north to Skiddaw over Borrowdale, Derwentwater and Keswick from Combe Head is one of the finest in Lakeland in my opinion. 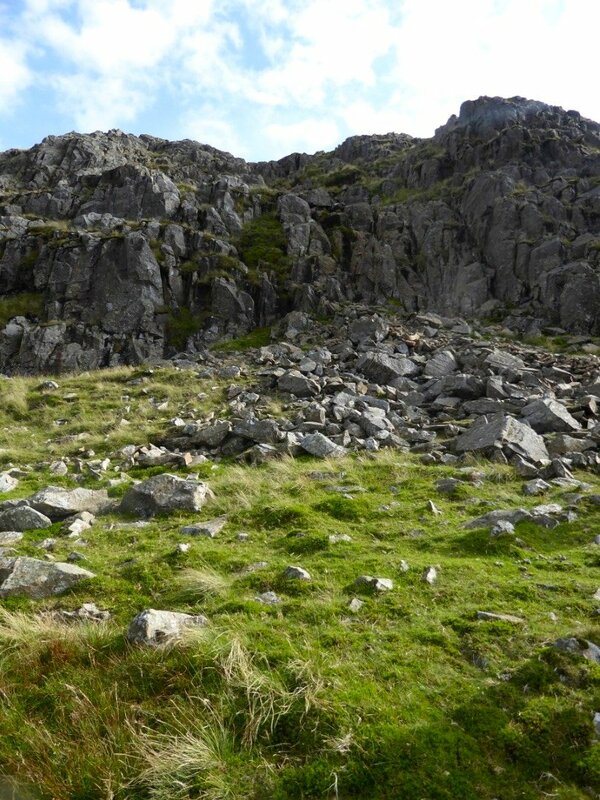 The kids liked the challenge of the 30ft scramble up to Glaramara summit. 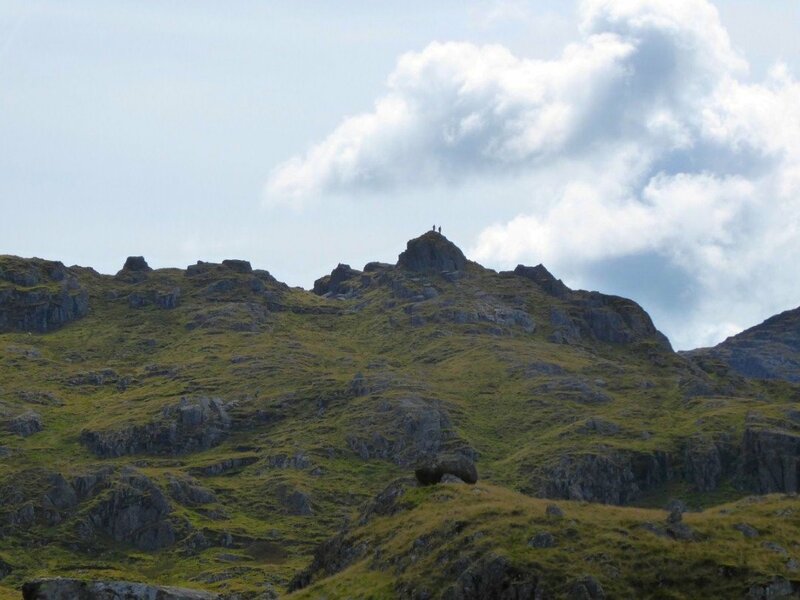 Extensive views of the Eskdale fells from Glaramara. 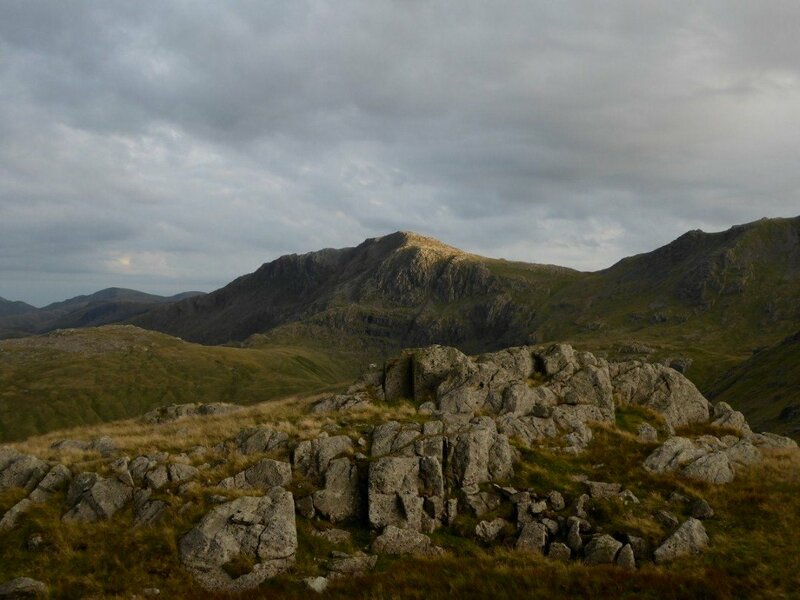 Bowfell, Esk Pike Ill Crag, the very top of Scafell Pike and Great End all in a line from left to right. 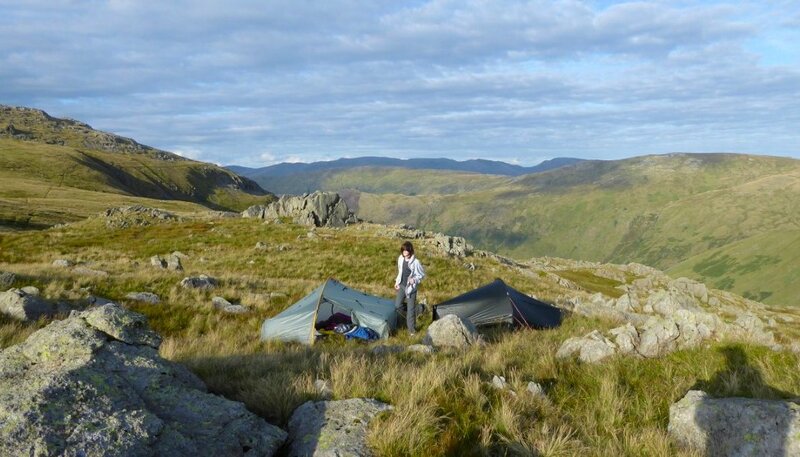 View over our camp to the east with the Helvellyn range on the horizon. 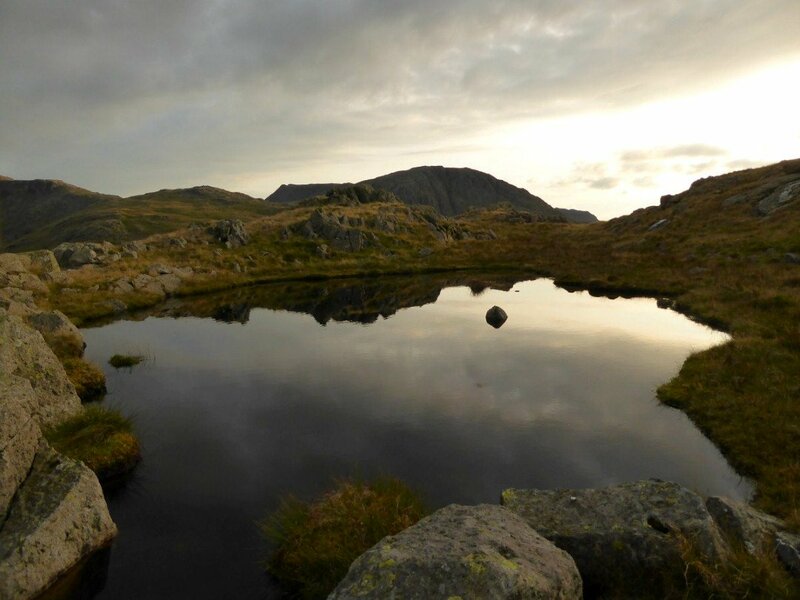 One of the Lincomb Tarns. 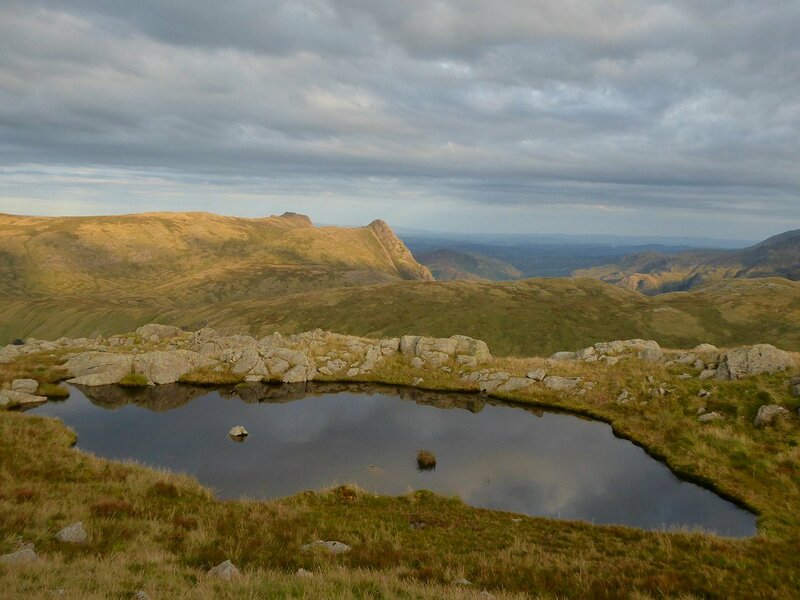 Langdale Pikes start to catch the evening sun. A little later in the evening looking to Great End. The Pikes really well lit now. 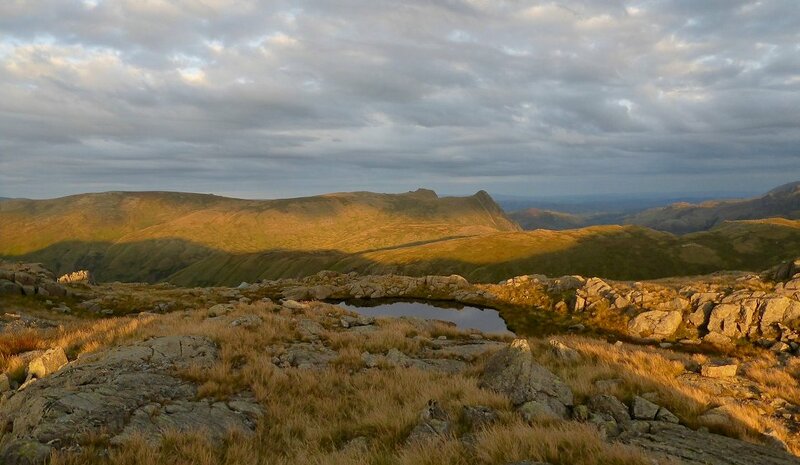 The sun drops behind the Gables. 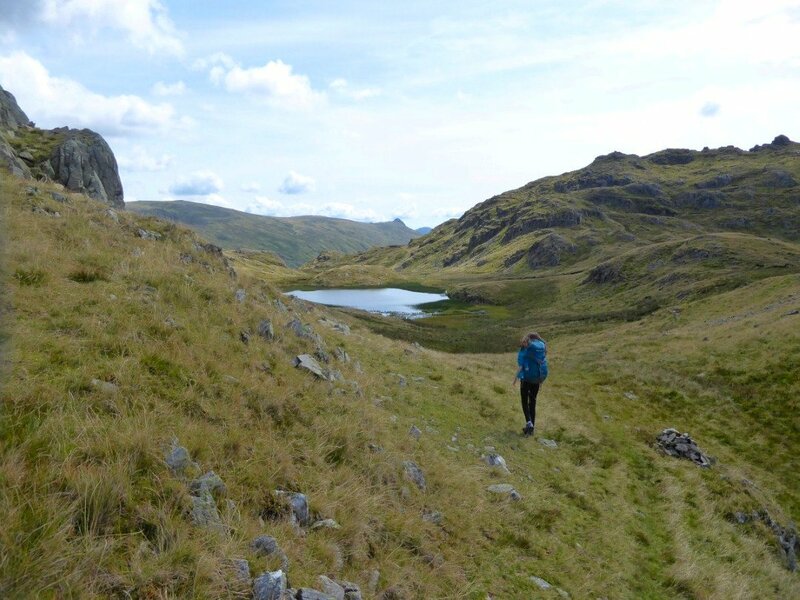 Monday was as forecast a horrible day so we headed back to Borrowdale. I didn't take any photos as the rain was unrelenting.